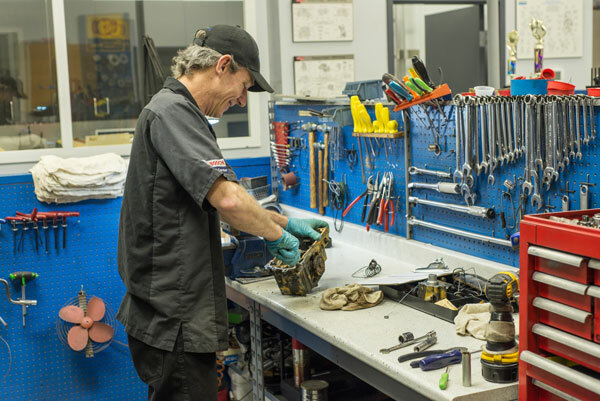 When it comes to pumps, we can rebuild most injection pumps from all the major manufacturers—and we’re factory-authorized to do so. Our Bosch authorization means we have access to the latest tools, training, service bulletins, and information to do the right job the first time! But this extends beyond Bosch products. From Stanadyne and Delphi to Denso Yanmar, Cummins, Motorpal, and Cat, we do it all. We rebuild both common rail and conventional injection pumps. This includes the hybrid systems (mechanical injection and electronic governing) found on many Volkswagen TDI (VP36/37), along with pumps for Cummins, John Deere, Mack, Volvo, Volvo Penta, VM Motori, Mercedes, and many other engines. Through our advanced certification and authorization, we are proud to be the only shop in B.C. that can rebuild Denso high-pressure common rail pumps found on Isuzu, Hino, John Deere, Mitsubishi, Toyota, and others. For your turbocharging needs, we also stock a selection of turbochargers and offer rebuilding or exchange for both conventional and variable geometry turbos.